Failing to claim all your expenses when submitting your tax return could cost you a hefty sum – so, what can you claim back to cut your tax bill? 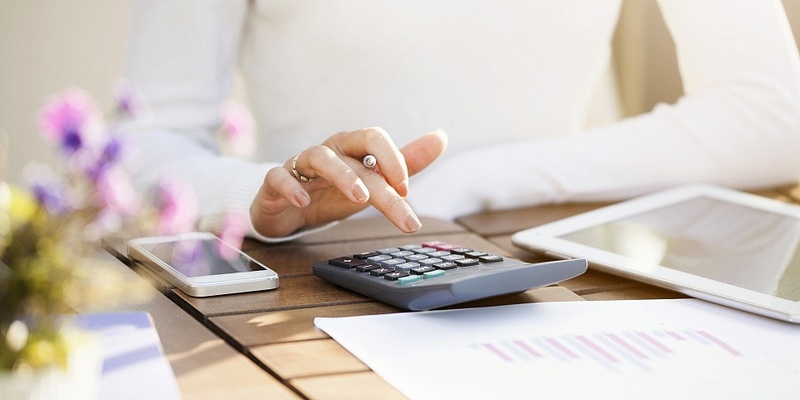 GoSimpleTax – the company behind Which’s tax calculator – has revealed the top five expenses people most commonly fail to claim for when submitting a self-assessment tax return. These are fuel, phone costs, car servicing, care insurance and the use of a home office. Which? reveals the possible expenses you might be able to claim for, whether you’re employed or self-employed. If you’ve paid for things necessary for your job, you may be able to claim tax relief on those expenses. Getting tax relief means the tax you’d usually be charged on an item is removed; it doesn’t mean getting an item for free. If you’re a basic-rate taxpayer, this means you could get a 20% refund on the cost, while higher-rate payers may get up to 40% back. People on average could claim £600 for their fuel expense, saving £12o on their tax bill (or £240 if you’re a higher-rate payer). Phone costs could add up to £450, while expenses for car servicing average £303, for car insurance £216 and for the use of a home office £208. Failing to claim for all five expenses means people are overpaying an average of £355 on their tax bill if they’re basic-rate payers, GoSimple Tax estimated. Generally, you can only claim relief on things used ‘wholly and exclusively’ in relation to your job – but there are some exceptions, like if you use your personal car for work, or you work from home. The expenses you can claim for differ depending on whether you’re employed or self-employed. However, you can only claim for things that your employer hasn’t reimbursed you for, or if you were reimbursed but had to pay tax on it. If you file a self-assessment tax return because you’re self-employed, the tax you pay is based on the profit you’ve made over the tax year. To calculate your profit, you can deduct the cost of certain purchases that are necessary to run your business. This means your profit, and therefore your tax bill, will be lower. However, you can’t claim for the initial cost of buying the building, or for any alterations or improvement. Instead, these may qualify for the annual investment allowance or capital allowances. As you also live at home, you can only claim for a proportion of your bills, depending on how much of your home you use for work, and how long you work for. The graphic below shows how this works. If you work from home for 25 hours or more each month you may be able to use HMRC’s simplified expenses system. If you own the vehicle privately, you can only claim the proportion of expenses for when it’s being used for work. You can’t claim for travel expenses between home and the workplace, for the cost of buying a vehicle or meals – although you may be able to claim a ‘reasonable amount’ for breakfast and evening meals if you’re on an overnight trip. But your own wages or salary, National Insurance contributions and income tax, pension costs and life insurance can’t be claimed for. If you’re owed less than £2,500, you may have the option to get your tax relief back in increments through PAYE. HMRC will adjust your tax code so you’ll take home a larger proportion of your salary each month. You won’t need to submit a self-assessment tax return to do this. You can just apply online or print and post form P87. If you usually pay tax by self-assessment, or you’re claiming for more than £2,500 in expenses, then you’ll have to submit a self-assessment tax return. If you’ve already been reimbursed by your employer, you’ll only be able to claim if the reimbursement was taxed. You can also claim on mileage that has not been reimbursed – whether you use your own car or have a company car – up to the HMRC-approved mileage allowance. You can’t claim for mileage on your usual commute between your home and workplace, but you might be able to claim on journeys to a temporary workplace. HMRC has agreed on a list of occupations where workers can deduct a flat-rate allowance on the cost of cleaning, repairing or replacing protective clothing and uniform. If your profession isn’t listed, you may still be able to claim a standard annual amount of £60. HMRC also has a list of fees and subscriptions to some professional bodies that are eligible for tax relief, but the membership must be necessary for you to do your job. You can’t claim for lifetime membership subscriptions, or fees or subscriptions you employer has already paid for. If you work for an employer from home, you can claim tax relief on some of the expenses incurred, such as heating, lighting and telephone costs. However, you can’t claim if you’re working from home voluntarily. If your claims exceed £4 a week, or £18 a month, you’ll have to provide evidence of what you’ve spent. Your employer may choose to contribute to your expenses, but they’re not obligated to. If they do, the same payment threshold applies. You won’t have to pay tax or National Insurance on the tax relief you receive from your employer. If you haven’t yet submitted your tax return for the 2017/18 tax year, you don’t have much time left. You have until midnight on 31 January to send your return to HMRC, and failing to do so could mean you’ll face a late penalty. The Which? tax calculator is an online self-assessment tool that can calculate your tax return, and submit it directly to HMRC, helping to take the hassle out of the process.